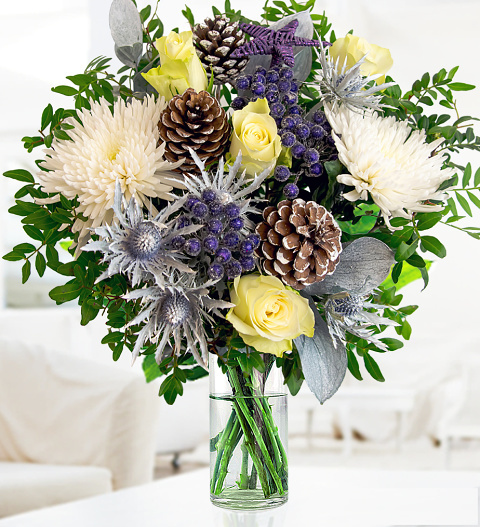 Noel is a fabulously festive arrangement with snow white roses and chrysanthemums hugged with silver pine cones and palm leaves bringing you that beautiful Christmas surprise. Noel is a delightful arrangement to send this Christmas and is available for UK next day delivery. Chocolates may contain nuts.